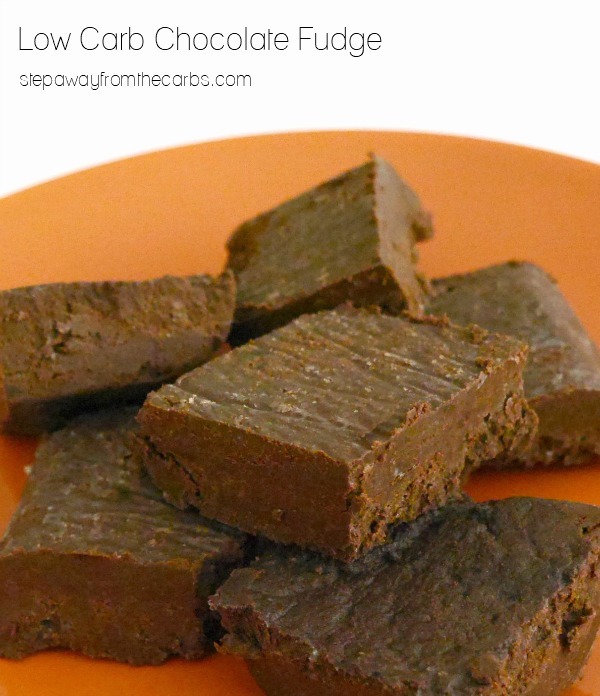 This low carb chocolate fudge is perfect for satisfying a craving for a sweet snack! Sometimes it’s good to have something rich, sweet and chocolatey. It can be just what you need as a little pick-me-up, or a sweet treat to end a meal. In all my time low carbing I’ve never lost my sweet tooth and never stopped craving chocolate. 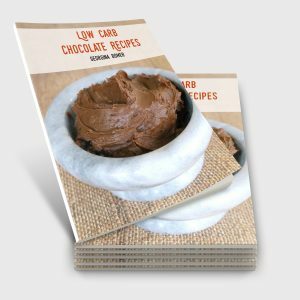 That would be why I wrote a book about low carb chocolate recipes, I guess! This chocolate fudge is really rich and quite intense – a little goes a long way which is obviously a good thing! To make the fudge, add unsweetened almond milk, heavy cream, low carb sweetener and coconut oil to a saucepan. Sweetener-wise I have tried xylitol and granulated Swerve, and both taste work well. Place the saucepan over a low heat and stir occasionally until everything has melted together. 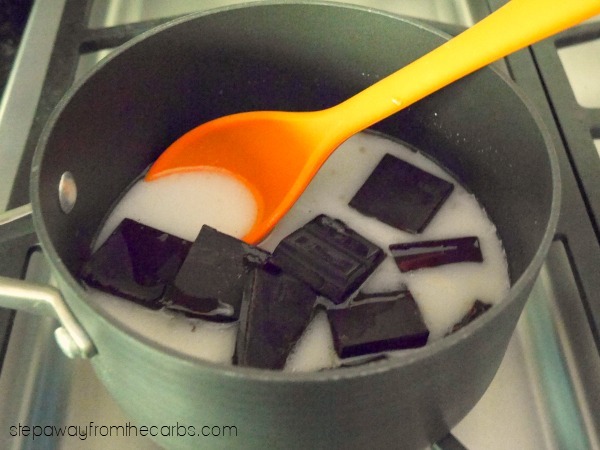 Break up some unsweetened chocolate into squares, then add them to the saucepan. Keep the heat low, and stir every now and then. Once the chocolate has started to melt, turn off the heat. Keep stirring until everything has mixed together. 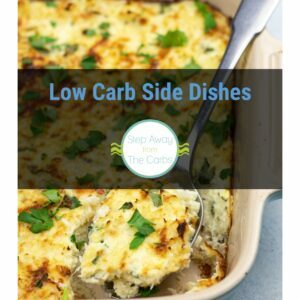 Pour into a square 8×8″ baking dish lined with baking parchment. If any oil has pooled on the surface then blot this away with a piece of kitchen paper. Let cool, then transfer to the fridge. Once the fudge has set, remove from the dish and peel off the parchment paper. Cut into 16 squares – and one of these squares is all you need as this fudge is very rich! Store it in the fridge until required. I particularly like crumbling a little of the fudge over some ice cream or a frozen dessert like Arctic Zero or Halo Top! Add the milk, cream, coconut oil and sweetener to a medium saucepan. Cook over a low heat until fully combined. Break the chocolate into squares and add to the saucepan. Stir frequently until the chocolate has fully dissolved. Pour the mixture into a 8x8" baking dish lined with parchment paper. Let cool then place in the fridge to set. Remove from the fridge and cut into 16 squares. 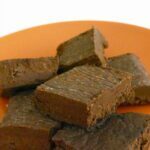 If you love this recipe, you’ll also love Low Carb Walnut Fudge – with even fewer carbohydrates! 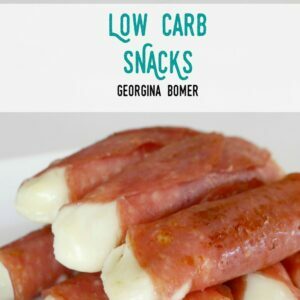 « Reduced Fat = Higher Carbs? I’ve never tried the recipe that way. If you try it, let me know what happens! what else can I use apart from Almond milk? coconut milk? Soy milk might work? I’ve never tried it with anything with other than unsweetened almond milk. If you try it, let me know what happens! It’s 8×8″ – sorry it was missing. I’ve added it to the instructions now.